If you haven’t made your European holiday plans for the year, you might just want to do it soon. You have till 8 March to take advantage of Emirates special fares: all-inclusive Economy Class fares from Singapore to Europe start at $999, while Business Class fares start at $4,379 for travel by 30 November 2018. And if you were planning to pop the question, why not do so in romantic Paris? 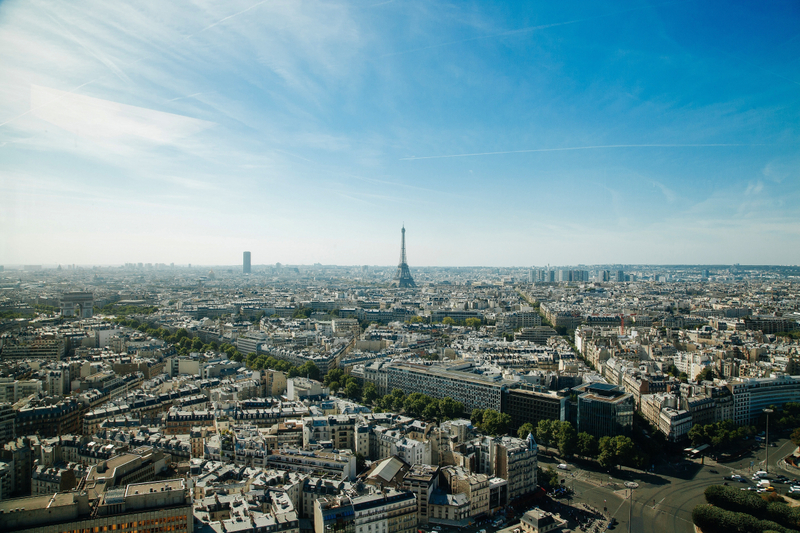 To get you started, we list 10 Instagram-worthy spots in the City of Love. You don’t even need to set foot in Paris to appreciate its magic. As soon as your Emirates flight prepares for descent, start looking out of the window for a breathtaking view of the city. You’ll need to time your flight right and request for a window seat of course. One of the most famous monuments in Paris, this landmark is home to the Tomb of the Unknown Soldier. It features four unique sculptures on each pillar, each commemorating a significant moment in French history, such as the Treaty of Paris. The industrial design museum founded in 1794 is a repository for the preservation of scientific instruments and inventions. You can impress her with your knowledge or capture her against the wonderful architecture of the building. house and the famous Moulin Rouge. The historic district has long been an artists’ hub. Walk around and you’ll see why. Formerly a royal palace, The Louvre is now a world famous museum. Even if you don’t venture inside, its angled geometry is a great way to experiment with different lighting conditions and take stunning Instagrammable photos. Often eclipsed by the fame of Notre Dame, the church remains a masterpiece of late Gothic architecture. Its reputation was strong enough at the time for it to be chosen as the location for a young Louis XIV to receive his First Communion. Mozart also chose the sanctuary as the location for his mother’s funeral. It’s not all about monument or museum chasing in Paris. Anyone who has been there will agree that there is a certain air about it. As the French say une certaine je ne sais quoi. Take leisurely walks around the old streets and immerse yourself. That said, Paris is not all old historic streets either. To the west of the city’s limits is the Paris Metropolitan Area spread across the commune of Courbevoie, where you’ll find Europe’s largest purpose-built business district with 560 hectares of modern glass and steel architecture. Paris has no shortage of pretty heritage hotels but Le Meurice is easily a favourite of many. One of two Dorchester Collection hotels in the city, it exudes a quiet elegance, although the splendid interiors of restaurant by Alain Ducasse may be comparable to the Chateau de Versailles. Do have a drink (or four) at its very cool Bar 228. It’s unrefutably the most beautiful bridge over the Seine, with its exuberant Art Nouveau lamps, cherubs, nymphs and winged horses at either end — a marvel of 19th-century engineering. The style of the bridge reflects that of the Grand Palais, to which it leads on the right bank. We can’t think of a better place in Paris to bend that knee.